Schuyler owns a small pasture with lush soil and excellent irrigation; these conditions allow the grass to grow at a constant rate every day. Schuyler’s cows also graze the grass at a constant rate per cow per day. One day he determines that if he left A cows in the pasture, where A is the answer to last week’s problem Rush Job, then they would graze the grass of the pasture to the point it becomes bare in 25 days. On the other hand, if he put (A+1) cows in the pasture, it would become bare from grazing in only 13 days. How many cows would it take to graze all of the grass in the pasture in just one day? A very wealthy sheik has six children and a large herd of camels. When he dies, it is discovered that his will leaves all of his gold to his eldest child, Jamal, and a different share of his camel herd to each of the other five children. Each share is a simple unit fraction, like a quarter or a ninth, and each share is less than one half and more than one tenth of the herd. However, to earn the inheritance, Jamal is required to carry out the division of the herd as dictated by the will. After counting the herd, none of the shares turns out to be a whole number of camels, and a fight breaks out among the children. Jamal is about to despair of fulfilling the will and earning the gold, when a crafty merchant approaches. 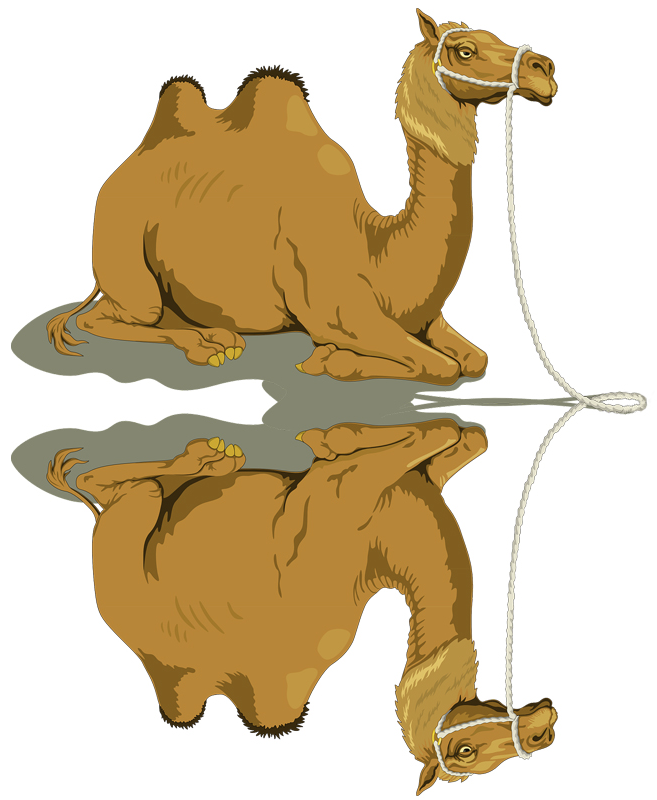 “I am willing to buy one of these camels for 100 gold crowns,” says the merchant, “and that will not only increase the gold you inherit, but, as you will see, will cause all of the shares to come out to a whole number of camels.” Jamal sells the one camel, and discovers to his delight that now all of the shares come out as promised. So Jamal happily starts apportioning out the camels to the five other siblings in order of age, only to discover in dismay that there is a shortage of one camel for the final share. “Good merchant,” pleads Jamal, eager to earn the inheritance, “do you happen to have a camel for sale?” “Why, as a matter of fact I do,” replies the merchant, “for the bargain price of 200 crowns!” Seeing no alternative, Jamal buys the camel back from the merchant and completes the inheritance of the last sibling, with the merchant happily counting the profit from the two shrewd transactions. Rush Job. Just one more week to go in the relay — all of the relay answers will be revealed after that. Deranged Assistant. First, let’s see that no more than three letters were sent to any individual country: If four letters were sent to Sweden (call them 1,2,3,4), they could have been mixed up in the following orders in which no letter went to the right place: 2,1,4,3; 2,3,4,1; 2,4,1,3; 3,1,4,2; 3,4,1,2; 3,4,2,1; 4,1,2,3; 4,3,1,2; and 4,3,2,1. Since that’s more than six ways to mix things up, there can’t be four letters going to Sweden, or to Brazil for that matter. And if there were four letters going to Singapore, there would be eight ways to mix them up so that exactly one is going to the right place: 1,3,4,2; 1,4,2,3; 3,2,4,1; 4,2,1,3; 2,4,3,1; 4,1,3,2; 2,3,1,4; and 3,1,2,4. Again, that’s too many. Next, we should count up how many ways there are to completely mix up one, two or three letters. If there were only one letter, there would be nothing to mix it up with, so zero ways; if there were two letters, there would be only one way to mix them up (namely, to swap them); and if there were three letters, there would be two ways to mix them up: 2,3,1 and 3,1,2. We should also count how many ways there are to mix up one, two or three letters so that only one person gets the correct letter. With one letter, there’s just one way (send it correctly); with two letters it’s impossible (if one is correct the other is, too); and with three letters there are three ways: 1,3,2; 3,2,1; and 2,1,3. So in every case there are either one, two, or three ways to mix up the letters. To make a product of six possible ways to mix things up, as mentioned in the problem, you will need one way for one country, two ways for another country, and three ways for a third, which means that three letters went to either Sweden or Brazil, two went to the other country, and three letters went to Singapore, for a total of 8 letters.